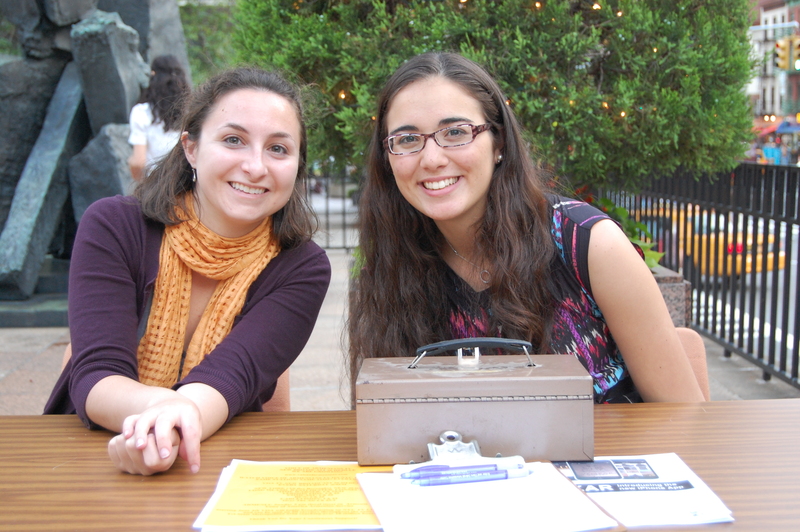 The Krikor and Clara Zohrab Information Center of the Diocese of the Armenian Church of America (Eastern) has been a hub of activity in the summer weeks, as the library’s doors have opened to its summer interns. 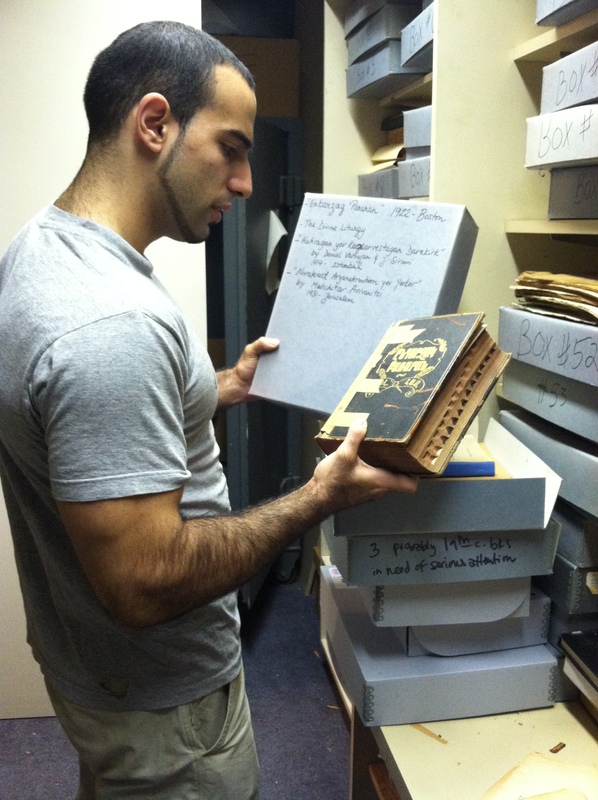 The dedicated and diligent interns, including Armen Bandikian, Jennifer Manoukian, and Nicole Saglamer, have been working hands-on to help further the vision of the Zohrab Center and to make its resources more accessible to individuals interested in Armenian studies around the world. The interns have been tackling a wide-range of responsibilities this summer, including cataloging books and digitizing the center’s holdings to make them available for the general public. Last summer, with the help of the interns, the center’s online catalog was launched. Over 15,000 books in the library’s collection can now be accessed around the world by visiting http://www.zohrabcentercatalog.com. While the interns’ contributions have indeed been valued in the center, they too come away with a newfound appreciation for Armenian literary traditions and culture. “For me, working at the Zohrab Center has been more than a job, but rather an experience that allows me to leave work each day having learned something new,” said Nicole Saglamer, a sophomore studying chemistry at NYU, who is interning in the center for the second consecutive summer. In fact, it was the center’s materials on Zabel Yesayan that created Manoukian’s ties to the Zohrab Center. While working on her thesis paper on the author, she found useful one-of-a-kind resources for her research. Echoing Manoukian’s sentiments, Bandikian, a senior studying information systems at Stony Brook University, said he felt “compelled” to intern in the center for another summer. “After working here for two years I am still amazed to see the types of books I come across while doing my work,” he said. The Krikor and Clara Zohrab Information Center was founded in 1987 by Dolores Zohrab Liebmann, in honor of her parents, Krikor and Clara. Her father, Krikor Zohrab, was a prominent lawyer, author and Parliamentarian in the Ottoman Empire, who was arrested and killed during the Armenian Genocide. The Zohrab Center serves as a research library and has a rich and diverse collection ripe with books relating to Armenian history, literature, and religion. It also serves as a cultural center, hosting conferences, lectures, film screenings, and book presentations among many other events tailored to the local Armenian community.